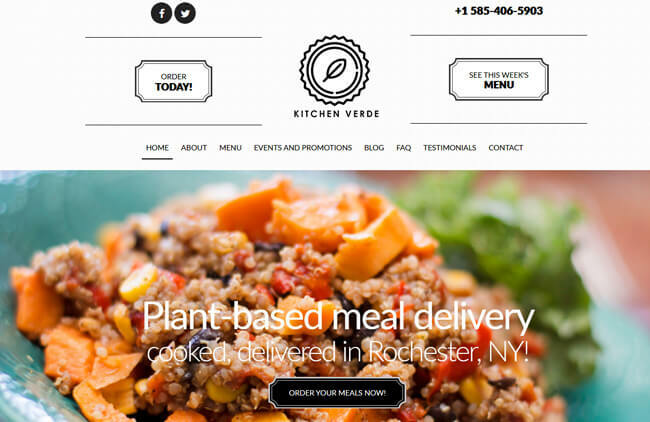 Kitchen Verde is a Rochester-based meal delivery service that provides wholesome, plant-based meals to residents of Monroe County, NY. While its delivery area is rather small, its goals are pretty big, as it aims to provide meals that can optimize your health, help you reach your goal weight, and ultimately, change your life for the better. In this Kitchen Verde review, we seek to determine whether these are just empty promises or this service really is as good as it claims to be. As suggested previously, Kitchen Verde exclusively focuses on plant-based meals, which makes it a perfect fit for vegans and everyone who wants to enjoy the benefits of a plant-based diet. It is not a subscription-based service but instead allows you to order whenever you want, as many meals as you need. You can decide whether you want your meals delivered or you prefer picking them up yourself and saving cash on shipping costs. The service has a rather varied a la carte menu with just shy over 20 items. It offers breakfasts, lunches, dinners, snacks, and juices, as well as a couple of tasty add-ons. The ordering rules are simple. When you are craving Kitchen Verde meals, you stop by the company’s website, pick the meals you want to enjoy, and proceed to checkout. In order to receive meals from the current menu, you need to place your order by Thursday. You can expect your meals to be delivered or ready for pick up on the following Sunday or Monday. 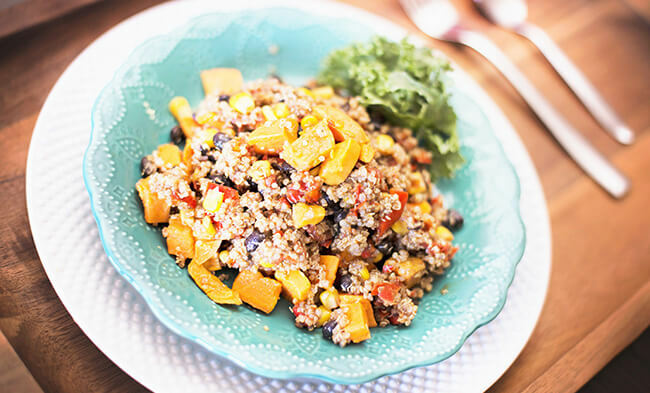 At first glance, it seems like there is virtually nothing that makes Kitchen Verde different from other vegan meal delivery services, except for its extremely limited delivery area. The truth is that the company has not done a very good job creating its website. There are no mouthwatering photos of the meals, there is very little information on ingredient sourcing, and the FAQ section only covers 9 of the most common questions. Furthermore, the company fails to explain how it can help you lose weight, which is a pretty serious oversight. This is really a shame since Kitchen Verde actually does provide rather good food at rather good prices. Its customers seem to be absolutely in love with its meals and cannot stop praising them. After tasting the meals ourselves, we can honestly say that we would gladly recommend this service to our vegan friends. However, since we were unable to get more useful information in spite of our best efforts, we cannot provide a comprehensive list of Kitchen Verde’s unique features. We can only speak about the freshness, deliciousness, and seemingly high quality of its meals. If you decide to give this service a try and happen to like it as much as its regular customers do, you can help spread the word by purchasing gift cards for your friends. Maybe the service can use the money you invest in the gift cards to build a more attractive and informative website. 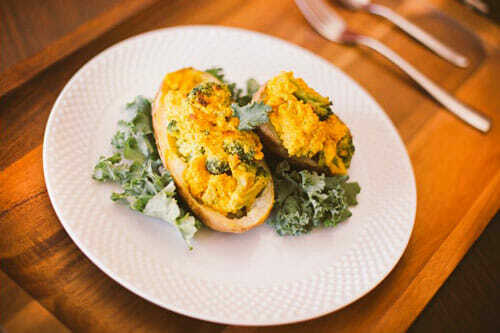 Whenever you visit Kitchen Verde’s website, you have a pretty nice selection of dishes at your disposal. Its menu normally includes 4 healthy and satisfying breakfasts like pancakes and frittatas, 9 entrées that can serve as both lunch and dinner, 2 snack boxes including muffins, crackers with dip, and other veggie treats, 3 organic cold-press juices, and 3 add-ons, mostly including soups and sides. As you can see, the selection is truly diverse. The majority of dishes originate from Asian, American, Italian, and Mexican cuisines. 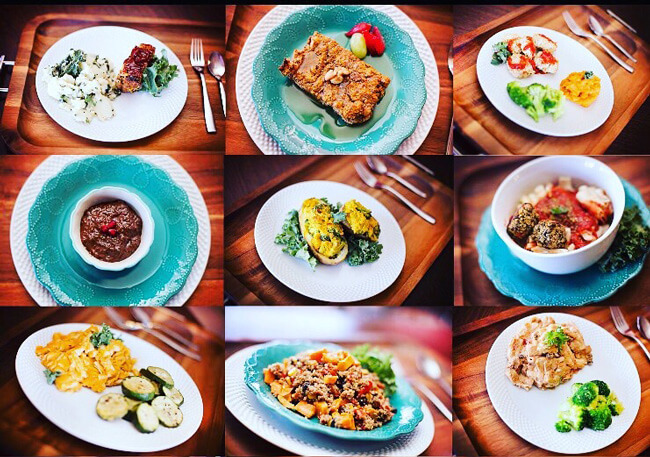 You can expect to find tacos, noodles, salads, gnocchi, raw vegan meals, customer favorite lasagna, and a variety of other vegan delights. 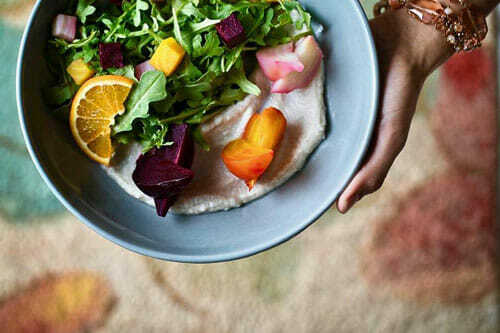 Apart from being free from animal products, most of the meals are gluten-free as well and some of them are nut-free. Most of the meals come with detailed descriptions and nutritional information, including the amount of fat, carbs, protein, and calories per serving, so you can keep an eye on your calorie count. The meals are usually low in fat and the juices provide various health benefits, possessing antioxidant, immunity-boosting, and anti-inflammatory properties. Kitchen Verde meals have individual prices, but general patterns in pricing can be observed. Breakfasts usually cost $7 per portion. 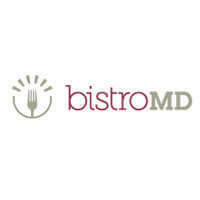 Entrées normally range from $8 to $9.50 per portion. Juices cost $9 per 16 oz. cup. Snack boxes usually cost $5 per box. Finally, add-ons normally cost $8, but they often include 2 servings. 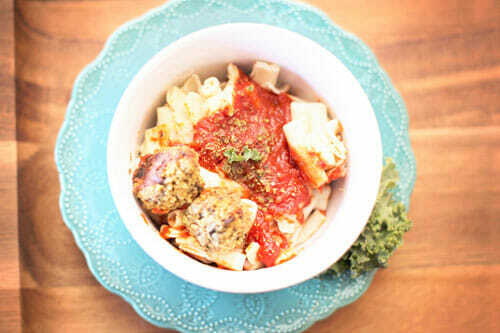 In comparison to other vegan meal delivery services, the prices are quite affordable. Shipping costs amount to just $5 per delivery. 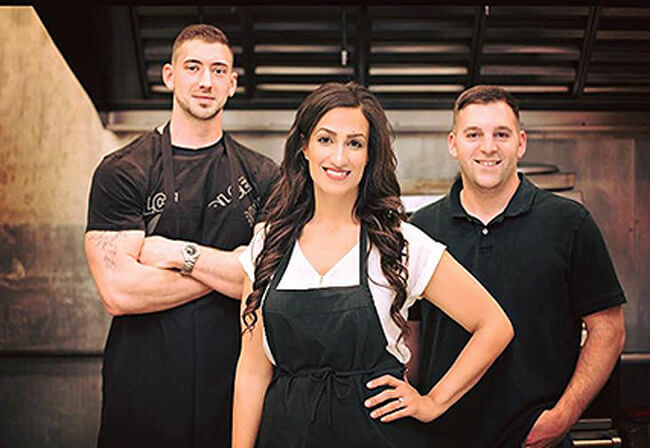 At the very beginning of this Kitchen Verde review, we mentioned that this service only delivers its meals to addresses within Monroe County, NY. The meals are available for pickup at Lorraine’s Food Factory, 777 Culver Road, Rochester, NY. According to the company’s schedule, both pick up and deliveries are on Sundays, between 10 a.m. and 3 p.m.
Another pickup location at your disposal is the Sands Cancer Center in Canandaigua. If you choose this location, you can pick up your meals on Mondays, between 4:30 p.m. and 6 p.m.
To make sure Kitchen Verde meets all your standards and expectations, it is important to know its biggest advantages and disadvantages. With a short overview of its pros and cons, you can easily decide if Kitchen Verde is the right meal kit service for you. If you subscribe to Kitchen Verde, you can easily prepare culinary masterpieces using only the ingredients and recipes found in your meal kit box. You may not be a pro chef just yet, but with Kitchen Verde, you can easily make restaurant-grade meals. You don’t have to take our word for it – check out the images below to get a better idea of the types of dishes you can enjoy with Kitchen Verde. Finishing off this Kitchen Verde review, we can conclude that this is a pretty good vegan meal delivery service that could become great if it introduced certain improvements. 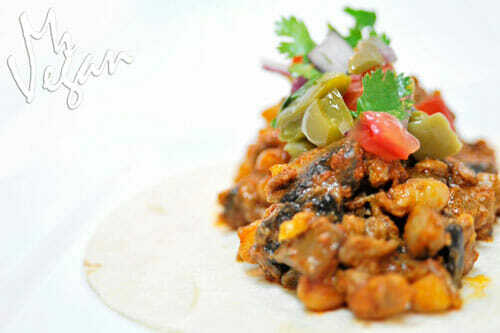 Its meals are truly delicious and we are quite satisfied with the variety. The prices are good and we like the fact that you can order as often or as rarely as you please. If the company invested some efforts into providing more information (and photos) on its website, worked on expanding its delivery area, and offered free delivery, at least within Monroe County, we believe that it would easily attract much more customers, considering the quality of its meals. Our ratings are the result of an objective and independent evaluation of Kitchen Verde, generating the final rating that reflects the overall quality of the company. Ratings may change as the service changes. Kitchen Verde customer rating based on 2 customer reviews. Our favorite service, be sure to try the lasagna! Everything we tried was reeeally good, I just think the juices are way overpriced. We found 0 verified Kitchen Verde discounts for April, 2019. There are no Kitchen Verde coupons or discounts right now.